Charles Verner Graham, 85, passed away on Sunday evening, July 13, 2014 at his home. A graveside service will be held at 11:00am Thursday, July 17, 2014 at Cedar Gap Cemetery, directed by Fry~Bartlett Funeral Home, Tuscola. A visitation will be held on Wednesday, July 16, from 7 to 9pm at the funeral home. Charles was born to Verner and Edna Mae (Avon) Graham on April 1, 1929 in Cedar Gap. 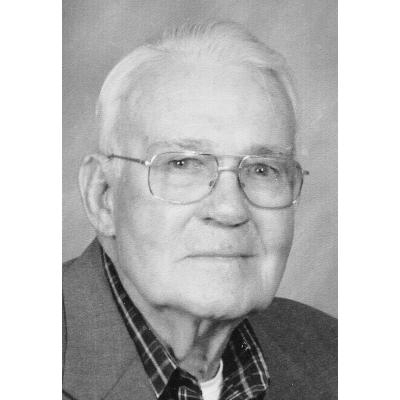 He attended school in southern Taylor County and graduated from Tuscola High school in 1947. He met then married Mary Jacquline Nix in 1949. Charles and Jackie settled in Winters to raise their family and to work for Humble Oil as an oilfield pumper. Charles and Jackie enjoyed 35 years of marriage until her death in 1984. On July 30, 1988 he married Doris Nash, and for the next 26 years he became G-Paw to Doris' family, and bringing two loving families together making a home for them all. Charles retired from Exxon as an oilfield mechanic to enjoy his lifelong passion for the outdoors. If he was not at home, he could be found fly-fishing in a Colorado river, camping, hunting, or on the road in their R.V. When he was at home, he was gardening, watching sports and NASCAR. He could fix anything, and generously helped anyone who needed it. Charles is survived by his wife Doris Graham of Tuscola; son, Lt Col. Sam Graham and wife Billie of Austin; daughter, Charla Kaye Hart of Austin; brother L.G. Smith of Tuscola; step daughters, Darla Lorenz and husband Ronnie (dec. 2013) of Abilene, and Scottye Bourland and husband Jay of Abilene; brothers-in-law, Leroy Wilkinson and Sam Nix; grandchildren, Rosemary Graham, Dr. Katie Hart Anderson, Curtis Charles Hart, Cpl. David Samuel Graham; Robin Wertheim, Brooke Nichols, Miranda Harper, John Wyatt; great grandchildren, Ada Magnolia Graham, Allie Nichols, Conner Nichols, and Colton Harper. Charles was preceded in death by his parents, wife, Jackie, brother, Carol Graham, and a sister Shirley Wilkinson.